Yes, a huge ‘HI!! !’ Shall be focusing on the NHS this time around! NHS nurses are seriously AMAZING! That’s literally the only food that I could eat! 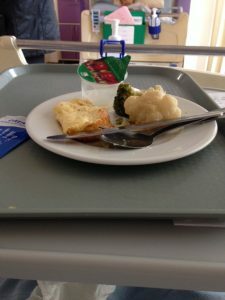 When you’re stuck in hospital, and start getting impatient because you have to explain your situation again and again to the doctors who finally do come to see you, it’s the nurses that keep you sane. Then there’s the thing with always being in a ward where you seem to be surrounded by extremely old ladies, so the nurses bring you pen and paper to write your story and then make you bring your laptop in to keep your mind off the fact that the lady on your left has been told she has 3 months left to live, while the woman opposite looks like death is almost upon her. At least they have family coming to visit. That’s perhaps the sweetest thing – see the actual love. Only downside, I should be resting, but I seem to keep finding myself getting up and looking for a nurse for one lady or the other because they never really respond to the button. But what does one expect from a NHS that is being stretched to the core, yet the nurses are trying to fulfill their duties as best as they can?! Ah I seem to be keeping to the topic this time! Things will start to become all jumbled up soon. I was never one to be able to organise my thoughts – oh but when it comes to creating databases using MS Excel of schools, libraries etc etc, that’s another story! The lady was nice enough to scrape off the cheese, but with the curtains closed – I was able to convince my dad to help me out A LOT! I will admit that that is no excuse for delaying a blog post and I have wanted to write about this for some time now. To be brutally honest, I do sometimes think that if I talk about Multiple Sclerosis and myself, what would people think. What would you think? I was only diagnosed in 2015, symptoms predating 2011, and I have yet to work out how someone accepts that they have such a condition. I mean like, symptoms begin in my mid 20s, then diagnosed in late 20s – you’re told you suffer from a progressive disease but there are plenty of organisations out there to help you etc etc etc. I remember crying on the bus on my way back and a wonderful senior was trying to make me laugh. Amazing people out there! This is where I HAVE to add the line from the song The Real World by Owl City ‘Reality is a lovely place, but I wouldn’t want to live there’. Hard to disagree with him when you’re still slowly coming out of the denial phase of ‘No, I do not have an auto immune disease.’ Regardless how many times you tell yourself that you’ve accepted it, there’s that voice that whispers that you’re fine. Don’t worry, it’s proved wrong when you end up in hospital; you’re discharged, the doctors don’t know what is wrong, so referred to different departments just to find out what’s wrong. Then find out that its vital that they know whether it’s just a random thing, or if it’s related to you’re condition. See the confusion in all this? I think it’s the fact that I need to accept help from others now, that I can’t think that I can do anything and everything by myself that sort of gets to me the most. 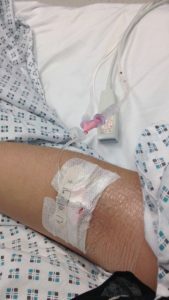 But when you fall ill and have to go to the GP just to check things are fine, but they send you to A&E for further testing, you can no longer say that you DO NOT suffer from such a condition. And the fact that you’re not allowed to drive because of another condition, so you end up relying on one of your brothers (if they’re free) or call up the paramedics or call up Uber, it’s like (please insert word)! You realise that it is serious, you have to accept help and you have to accept it exists. Hmm, the post looks a bit depressing. As my wonderful nurse has stated, life can be normal, just adjustments need to made! 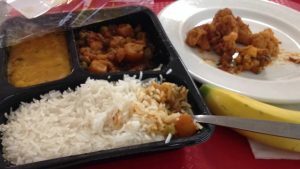 One is – healthy eating – made big improvement on that! No red, no dairy – tofu, yes, soya milk, yes, pizza, no etc etc. I tried following recipes, but I just ended up making random improvised dishes. Positive thoughts leads to positive actions, and this is why regardless what happens, I can still smile and say, I’m fine. Yes, everyone has their moments. I’ve been typing away this blog post today, and my mood has improved considerably! Coming out in paperback soon! So I need to do some marketing here, I think – my second book is coming out in paperback. Its already on Kindle, but have left it too long. Before Christmas, my second book will be in paperback, and I can guarantee you that you will enjoy it! A lot of deep thinking and getting lost in your own world! Might as well include – been asked to do some workshops and a school just invited me to Book Week to carry out a workshop – that’s a WHOLE year group! It feels so good that I’m not nervous! I will have to credit all those that have helped me overcome my fear, and helping me build up my confidence once again! Come now, I have my books in Secondary school libraries across the UK, in local libraries, I have published poems in Anthologies, which are found across all libraries in the UK and ROI, but forget that, the Anthologies are in the British Library! Imagine, 4 different poems in 4 different Anthologies! Has MS dictated how to live my life? It has. But will it dictate my happiness? Never! Trust me, if I can do it, you can. Coming to the end of this post, and it’s crazy how my mood has lifted! 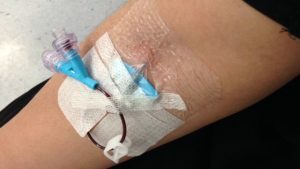 I was told a blog post should focus on one topic, but here’s me talking about my life and Multiple Sclerosis. 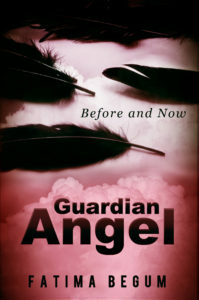 Don’t forget – Guardian Angel: Before & Now is also part of the discussion! I need all the support I can get. I know it’s a great book, just need you all to confirm it! Here are a few useful links that I poured over when I found out about my diagnosis. Far better than surfing the net and scaring yourself – better to find the proper links! One great one is the MS Society, so make sure to register with them! To find out more about what Multiple Sclerosis is, check out the NHS site! Loads of info on Causes, Diagnosis, Treatment etc! It’s really good. You also have the Multiple Sclerosis Trust, again has loads of info on the condition, how to live with it, shows support groups in your area too – click here and type in your postcode along with clicking on what you’re looking for. I also came across this MS-UK, they provide services, including counselling and even have a bi-monthly magazine! I was referred to IAPT – been going through a rough time, I’ve agreed to connect with others like me and attend group sessions. Another step to accepting and will be getting advice. See – positive thinking! My GP referred me to INS and believe me when I say that these people are amazing. This charity does not just focus on Multiple Sclerosis, but provide support of other neurological conditions. They provide a range of group activities – I think I need to sign up for some! Need your support guys! Trust me, you’ll love it! I hope the above has been helpful, and don’t forget to look out for Book 2 of the Guardian Angel series! Self-published, so will be up on Amazon first until I get a chance to sell it to publishers. the only problem with publishers is that they want literary agents, things then get complicated! Enough of the stress for now, what do you think? One Question	Does Trump Have Power Over Jerusalem? Hey Hun let me know Hw long ur in hospital I will visit or even when ur home Would love to read ur book but u wrote ur 2 so is there a 1? ?